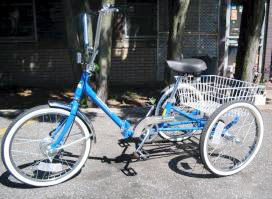 At Worksman we believe that riding a cycle is something everyone can enjoy! 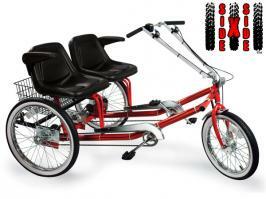 Our wide selection of Adult Tricycles is an example of this philosophy. We offer a vast selection of three wheeled cycles that allow people of all ages and sizes to benefit from the riding experience. Whether you simply never learned to ride a two wheeler, or don't have the balance to do so, an adult tricycle maybe the ideal solution. Enjoy the benefits of exercise, fresh air, independence, mobility and fun! 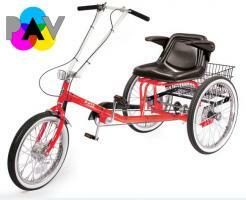 Worksman Adult Tricycles come in various designs, with a wide range of options. 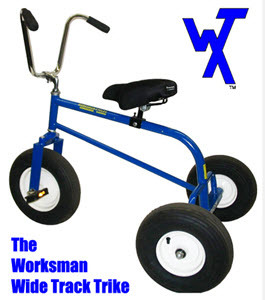 So whether you are 5'2" and 150 pounds, our 6'2" and 400 pounds, there's a Worksman Tricycle for you. Just get our and RIDE! 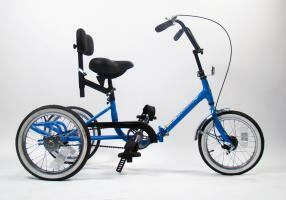 Each Worksman Tricycle is hand built using top quality components, and all of them designed to perform reliably. 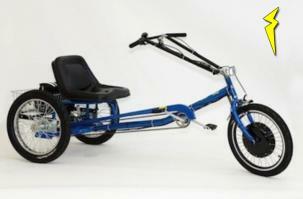 After all, what else would you expect from America's oldest and largest Adult Trike manufacturer? We have been in this game for a very, very long time. Don't settle for just any three wheeled cycle! 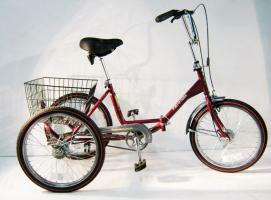 Buy with confidence, RIDE with confidence, on a Worksman Adult Trike. We appreciate your interest, and are always glad to help. Should you have any questions, please feel free to speak to us at 888-3WHEELER.